Winters coming. No doubt about that. Sun's coming up later, going down earlier. Temperature falling. And the frost is out. Glanced through the window this morning to see our glass deck panels opaque and glittering with the sun backlighting the whole deal. 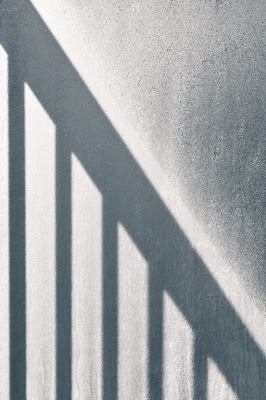 The shadow from the adjacent deck rail created an interesting graphic element. So out I go, in socks, to grab a quick frame. 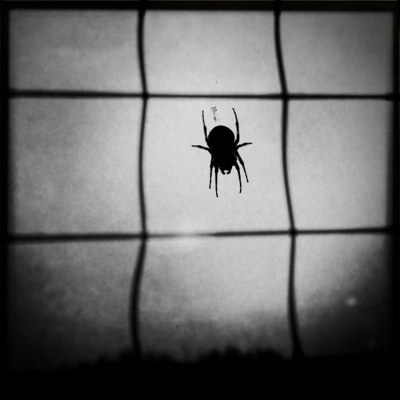 Spider + iPhone + Hipstamatik = Creepy. Seeing this guy outside my hotel window I felt compelled to make a quick grab. Happy Halloween. Quick grab from iPhone of a scene that caught my eye. 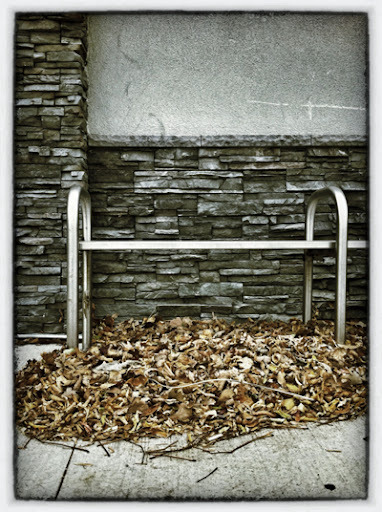 Just like the framing of it, with the precise lines of the brick and metal offsetting the clutter of the gathered leaves. Processed using Nik Software's Snapseed app on my iPad.